There’s certainly been a lot of speculation about the result of the 2018 midterm elections. Will Democrats win control of Congress, or will Republicans retain their majority in the House and the Senate? What will happen if the Democrats gain control? What will happen if they don’t? It’s hard to know right now. Every poll seems to be predicting a different outcome. But New York research organization FiveThirtyEight pulled together the results of polls, fundraising totals, and historical trends, and they’ve got some things to say about the midterm elections. Generally speaking, FiveThirtyEight writes, Democrats are favored to gain control of the House of Representatives this fall. As of August 21, 2018, FiveThirtyEight’s forecast of the race for the House show that the Democrats have a 5 in 7 chance of gaining control and Republicans have a 2 in 7 chance of retaining control. 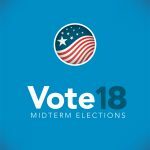 (The organization’s forecast is updated daily, so it’s a great tool for keeping track of Election 2018. 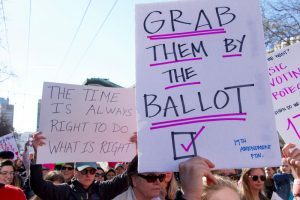 Civics Lesson: Why Are Midterm Elections So Important? In midterm elections, all House members (who have two-year terms) and one-third of Senators (about 35) are up for re-election. Although midterm elections have historically had low voter turnout, many hope that will change in 2018. The reason the results of these elections is so important is because the outcome of the midterms could reduce President Trump’s ability to do everything he wishes to do—or, conversely, they could increase his power. If the House and Senate both remain controlled by Republicans, this could result in not only the repeal of the Affordable Care Act, but in more conservative justices being appointed to the Supreme Court—which could change the character of the U.S. judiciary branch for generations. The organization further states that there’s an 80 percent chance that Democrats will gain 14 to 56 seats, a 10 percent chance that they will gain more than 56 seats, and a 10 percent chance they will gain fewer than 14 seats. Historically speaking, opposition parties have a trend of gaining ground in midterm elections. This can be seen with the Republican-controlled House and Senate during the administration of Barack Obama. So, history is definitely in the Democrats’ favor. Fundraising is also going well for Democrats. Democratic candidates have raised more in individual contributions than Republicans in 71 of the 101 districts rated as “competitive” by the Cook Political Report. This is not usually the case at this point in House races; typically the challengers are way behind in fundraising at this point in the election cycle. In order to take back the House in the midterm elections, Democrats need to have at least 218 seats, but at this point there are only 215 seats favoring Democrats (i.e., their rating is “lean Democrat” or stronger), so Democrats will have to hustle and make sure their candidates are very competitive in the race in toss-up, “lean Republican,” or “likely Republican” races. However, if there’s a shift in attitudes favoring the Republican party or if there are even small polling errors in the GOP’s favor on Election Day, many of those toss-up and “lean Democrat” seats may go to Republicans. Of course, if the environment gets better for Democrats, a “blue tsunami” could be the result. FiveThirtyEight also points out that incumbents—particularly Republican incumbents—are really vulnerable in the midterm elections. With Republicans’ consistent votes in President Trump’s favor, they may be at risk if voters in their districts are not happy with even a few of the president’s actions. Democratic incumbents have a narrow advantage in the House races—although the Senate is completely up for grabs, with lots of vulnerable Democrats who were elected in 2012 up for re-election this year. FiveThirtyEight’s research shows Democrats gaining House seats in all regions of the country, including regions like the Midwest, that voted largely for President Trump. However, it’s crucial that the Democrats win the popular vote by 5 percentage points—and believe it or not, that’s a pretty wide margin—in order for them to have the best chance of winning House races. So, will it be a blue wave or a red wave in this year’s midterm elections? It’s still anyone’s guess at this point. And, of course, election security is a real concern, too; if voting machines are hacked, who knows how things are going to turn out? Regardless, Democrats are going to have to work hard to win in competitive districts in order to be able to take control of the House of Representatives. 811 Democratic Candidates: Who Are They?